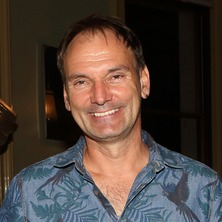 Thomas grew up in Germany and joined UQ in 1999 following postgraduate studies in New Zealand. He investigates the mental capacities in young children and in animals to answer fundamental questions about the nature and evolution of the human mind. His research has attracted several awards (incl. from the Australian Academy of Social Sciences, the Australian Psychological Society and the American Psychological Association) and his critically acclaimed book The Gap (e.g. see reviews in Nature, Science or the Wall Street Journal) is currently being translated into several languages. BBC Earth Many animals seem to kill themselves, but is it suicide? Book reviews of THE GAP have appeared in e.g. Nature, The Wall Street Journal, Science, Scientific American Mind, The Times, Kirkus Reviews, Journal of the History of Biology, Australian Book Review, Times Higher Education & New Scientist. Suddendorf, Thomas, Steckhan, Barbara, Jendricke, Bernhard and Gockle, Gabriele Der Unterschied: Was den Mensch zum Menschen macht. Berlin, Germany: Berlin Verlag, 2014. Suddendorf, Thomas The gap: the science of what separates us from other animals. New York, NY, United States: Basic Books, 2013. Suddendorf, Thomas (2016). Die Natur und Erstehung der Kluft zwischen Mensch und Tier. In Johannes Weinzirl and Peter Heusser (Ed. ), Der Mensch, ein Tier? Das Tier, ein Mensch? (pp. 55-61) Wuerzburg, Germany: Verlag Konigshausen & Neumann. Suddendorf, Thomas and Dong, Andy (2013). On the evolution of imagination and design. In Marjorie Taylor (Ed. ), Oxford handbook on the development of imagination (pp. 453-467) New York, NY, United States: Oxford University Press. Suddendorf, Thomas (2011). Mirror self-recognition on Earth. In Roger Penrose, Stuart Hameroff and Subhash Kak (Ed. ), Consciousness and the universe: quantum physics, evolution, brain & mind (pp. 782-787) Cambridge, MA, United States: Cosmology Science Publishers. Corballis, M. and Suddendorf, Thomas (2007). Memory, Time, and Language. In Pasternak, C. (Ed. ), What makes us human? First ed. (pp. 17-36) United Kingdom: Oneworld Publications. Suddendorf, T. (2001). A developmental link between the production of gestural representation and understanding of mental representation. In S. Reifel (Ed. ), Theory in Context and Out (pp. 217-231) Westport, Connecticut: Ablex Publishing. Measuring mental time travel: Is the hippocampus really critical for episodic memory and episodic foresight? Did humans evolve to innovate with a social rather than technical orientation? Bulley, Adam and Suddendorf, Thomas (2018, February 21). Why telling people they could get sick in the future won’t persuade them to be healthy now. , . Suddendorf, Thomas (2017) Consider the alternative. Inference: International Review of Science, 3 3: . Response to Gallup et al. : are rich interpretations of visual self-recognition a bit too rich? How great is great ape foresight? New evidence for animal foresight? Whiten, Andrew and Suddendorf, Thomas (2007) Great ape cognition and the evolutionary roots of human imagination. Proceedings of the British Academy, 147 31-59. The evolution of foresight: What is mental time travel and is it unique to humans? Do chimpanzees (Pan troglodytes) and 2-year-old children (Homo sapiens) understand double invisible displacement? Primates and evolution of the human mind. Suddendorf, T. (2006) Primates and evolution of the human mind.. Dialogue, 25 3: 50-58. Do dogs (canis familiaris) understand invisible displacement? Mental time travel in animals? Children’s understanding of the relation between delayed video representation and current reality: A test for self-awareness? Suddendorf, Thomas (1999) Reconstructing the evolution of language: Early-bloomers versus late-bloomers theories. Psycoloquy, 10 080: 1-5. Mental time travel and the evolution of the human mind. Suddendorf, Thomas and Corballis, Michael C. (1997) Mental time travel and the evolution of the human mind.. Genetic, Social, and General Psychology Monographs, 123 2: 133-167. Do computers affect 'the mind'? Dong, Andy, Collier-Baker, Emma and Suddendorf, Thomas (2010). Animal innovation: a window into design thinking. In: Kees Dorst, Susan Stewart, Ilka Staudinger, Bec Paton and Andy Dong, Interpreting Design Thinking: Proceedings of the 8th Design Thinking Research Symposium (DTRS8). Design Thinking Research Symposium 8, Sydney, Australia, (121-130). 19-20 October 2010. Massaro, D.D., Williams, J, Suddendorf, T., Bosseler, A and Peel, N (2003). Lip-reading and visual-auditory integration during speech imitation in autism. In: K. Dautenhahn and C.L. Nehaniv, Proceedings of the Second International Symposium on Imitation in Animals and Artifacts. AISB '03 Cognition in Machines and Animals, Aberystwyth / University of Wales, (99-99). 7-11 April, 2003. Suddendorf, T. (2000). Various. In: G.R.Bock, J. A.Goode and K. Webb, The Nature of Intelligence. Symposium on the Nature of Intelligence, Novartis Foundation, London, (). 30 Nov - 2 December, 1999. Parr, J. and Suddendorf, T. (1999). Will electronic media help my child to read and write? Views from the autonomy and metamorphosis perspectives. In: P. Jeffrey, AARE/NZARE Joint Conference. Joint AARE-NZARE 1999 Conference Melbourne Research in Education; Global Issues & Local Effects: The, Swinburne Univ.ersity of Technology, Lilydale, (1-14). 29 November -2 December, 1999. Suddendorf, Thomas (1994). Discovery of the Fourth Dimension: Mental Time Travel and Human Evolution M. Soc. Sc., Department of Psychology, The University of Waikato. Evolution of Mind: The representational capacities of gibbons (H. syndactylus) and the common ancestor of humans and apes. Social cognition and prospection in late adulthood.